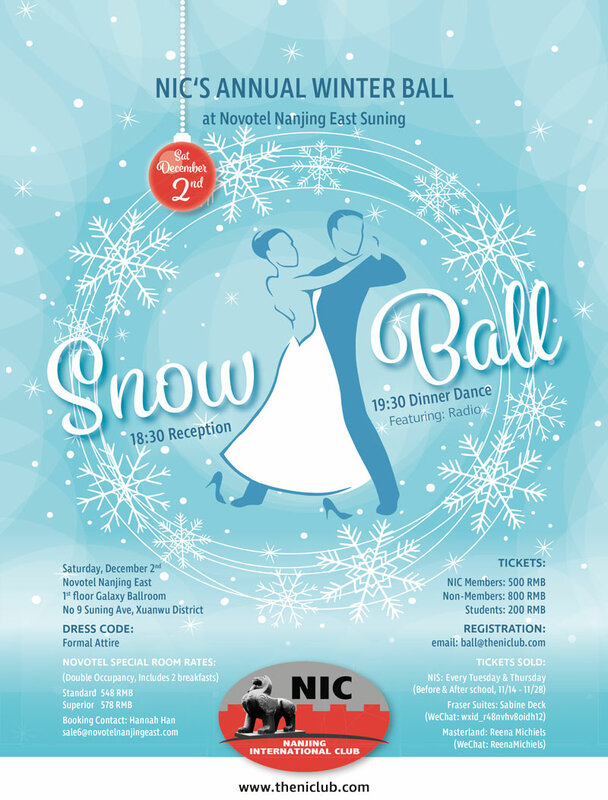 There are still spaces for our NIC Winter Ball at Novotel, Suning on 2nd December from 18.30 till late. It will be a wonderful evening of good food, wine, dancing and time to enjoy friends and get into the festive spirit. There is also a special overnight rate at the hotel. See poster for details. Get a table of ten together of your friends – or we can slot smaller groups onto other tables. 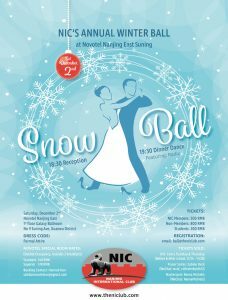 The theme is Snow Ball but you do not need formal DJ – just enjoy dressing up a bit and having a party! DO COME ALONG – IT WILL BE FUN!